BALLERS returns for its fourth season SUNDAY, AUG. 12 (10:00-10:30 p.m. ET/PT). 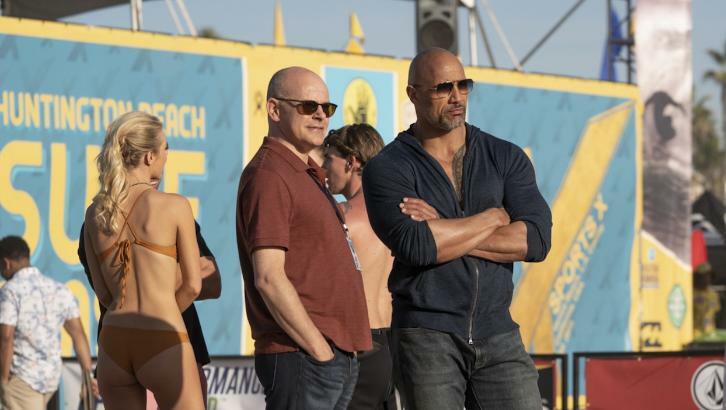 The show looks at the lives of former and current football players, following former superstar Spencer Strasmore (Dwayne Johnson), who has reinvented himself as a financial manager. This season, Spencer and Joe (Rob Corddry) take their skills to Los Angeles as they look to expand their roster and horizons in the world of action sports. Other cast members include John David Washington, Omar Benson Miller, Donovan Carter, Troy Garity, London Brown, Jazmyn Simon and Brittany S. Hall. Created by Steve Levinson; executive produced by Stephen Levinson, Mark Wahlberg, Dwayne Johnson, Dany Garcia, Peter Berg, Rob Weiss, Julian Farino, Denis Biggs and Karyn McCarthy.